NEW CONSTRUCTION! 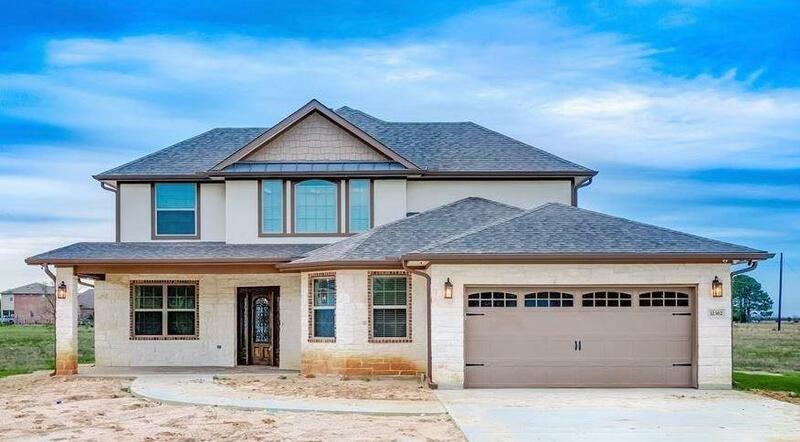 2-story home with natural stone & brick veneer. 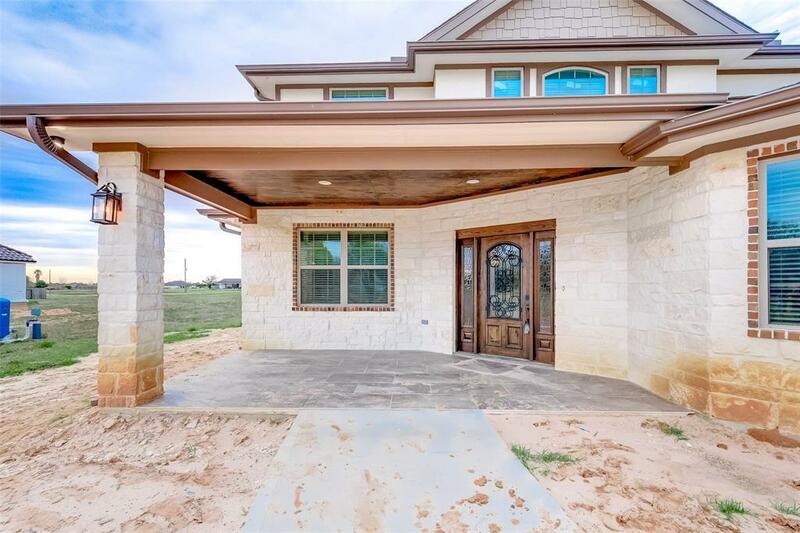 Grand front entrance f/ extra-wide front door with sidelights. 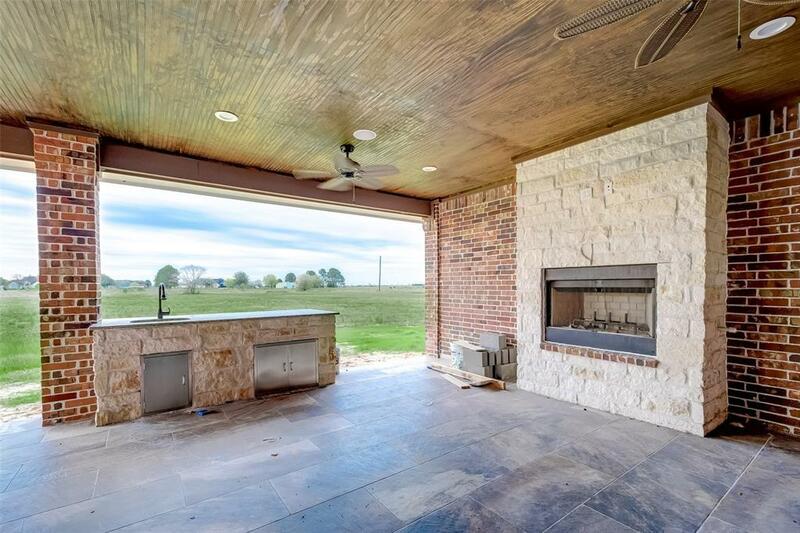 Outside entertainment area f/natural stone fireplace, granite topped wet bar, slate floors, rustic wood ceiling with inset lighting and ceiling fans. Interior front entrance opens to the magnificent designed main room, spiral wood staircase with a view to the 2nd floor. Open access to kitchen and buffet area, dining room and another natural stone floor-to-ceiling fireplace! The kitchen provides maximum storage with hardwood cabinets and under-counter drawers, granite countertops, under cabinet lighting, matching counter backsplash, and a deep sink breakfast area. Grand Master Suite & Bath with Italian white marble bathroom counters and floors connecting hallways feature Italian white marble floors! 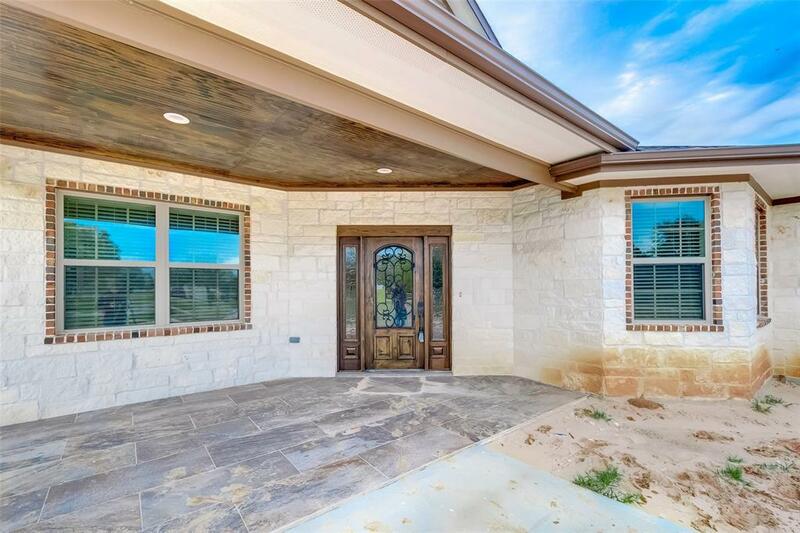 Master suite includes his & hers walk-in closets and wet bar. Upstairs landing could be its own room with a wet bar! Must see to appreciate the open design.